PARIS, Jul 6, 2014/ — Like the Jean Paul Gaultier Homme Spring 2015 and Resort 2015, the Jean Paul Gaultier Kids Spring 2015 collection references the 1990s. 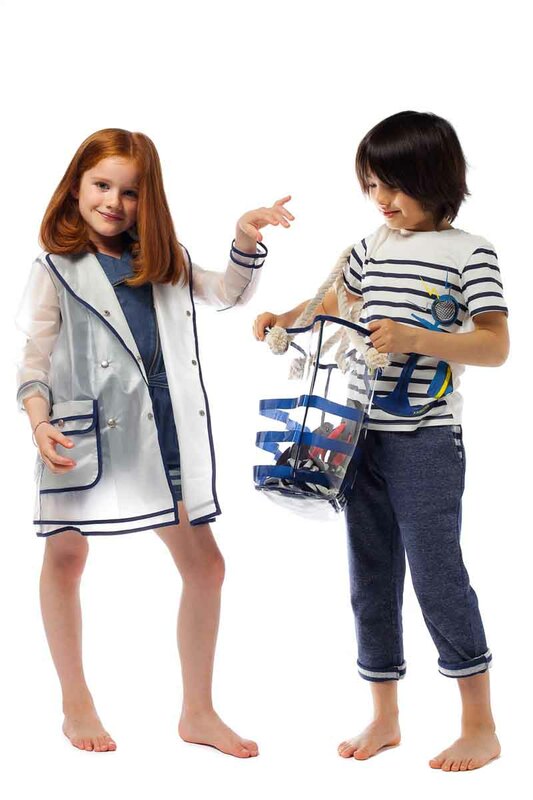 But, instead of a declination of its older brother and sister, Gaultier Kids presents a new interpretation and re-imagination that are specific for the children’s collection. The Dripping Daisies which was seen in both the menswear and resort collections as flowers seen as a firework on a black background, a re-interpretation of a 1995 dress Gaultier dress now as a white background and a garden of daisies in different colors. Added to the mix are fun things for kids anchors and decals as prints. And just to get the girls look sophisticated the famed degradè were turned into Cinderella gowns.